For a hierarchical presentation of automation topics, see Outline of automation. For other uses, see Automation (disambiguation). Not to be confused with automaton. Automation is the technology by which a process or procedure is performed with minimal human assistance. Automation  or automatic control is the use of various control systems for operating equipment such as machinery, processes in factories, boilers and heat treating ovens, switching on telephone networks, steering and stabilization of ships, aircraft and other applications and vehicles with minimal or reduced human intervention. Automation covers applications ranging from a household thermostat controlling a boiler, to a large industrial control system with tens of thousands of input measurements and output control signals. In control complexity, it can range from simple on-off control to multi-variable high-level algorithms. In the simplest type of an automatic control loop, a controller compares a measured value of a process with a desired set value, and processes the resulting error signal to change some input to the process, in such a way that the process stays at its set point despite disturbances. This closed-loop control is an application of negative feedback to a system. The mathematical basis of control theory was begun in the 18th century and advanced rapidly in the 20th. Automation has been achieved by various means including mechanical, hydraulic, pneumatic, electrical, electronic devices and computers, usually in combination. Complicated systems, such as modern factories, airplanes and ships typically use all these combined techniques. The benefit of automation includes labor savings, savings in electricity costs, savings in material costs, and improvements to quality, accuracy, and precision. The World Bank's World Development Report 2019 shows evidence that the new industries and jobs in the technology sector outweigh the economic effects of workers being displaced by automation. Fundamentally, there are two types of control loop; open loop control, and closed loop feedback control. In open loop control the control action from the controller is independent of the "process output" (or "controlled process variable"). A good example of this is a central heating boiler controlled only by a timer, so that heat is applied for a constant time, regardless of the temperature of the building. (The control action is the switching on/off of the boiler. The process output is the building temperature). In closed-loop control, the control action from the controller is dependent on the process output. In the case of the boiler analogy, this would include a thermostat to monitor the building temperature, and thereby feedback a signal to ensure the controller maintains the building at the temperature set on the thermostat. A closed loop controller, therefore, has a feedback loop which ensures the controller exerts a control action to give a process output the same as the "Reference input" or "set point". For this reason, closed-loop controllers are also called feedback controllers. Likewise, a Feedback Control System is a system which tends to maintain a prescribed relationship of one system variable to another by comparing functions of these variables and using the difference as a means of control. The advanced type of automation that revolutionized manufacturing, aircraft, communications, and other industries, is feedback control, which is usually continuous and involves taking measurements using a sensor and making calculated adjustments to keep the measured variable within a set range. The theoretical basis of closed-loop automation is control theory. Sequence control, in which a programmed sequence of discrete operations is performed, often based on system logic that involves system states. An elevator control system is an example of sequence control. A block diagram of a PID controller in a feedback loop, r(t) is the desired process value or "set point", and y(t) is the measured process value. A proportional–integral–derivative controller (PID controller) is a control loop feedback mechanism (controller) widely used in industrial control systems. as the difference between a desired setpoint and a measured process variable and applies a correction based on proportional, integral, and derivative terms, respectively (sometimes denoted P, I, and D) which give their name to the controller type. 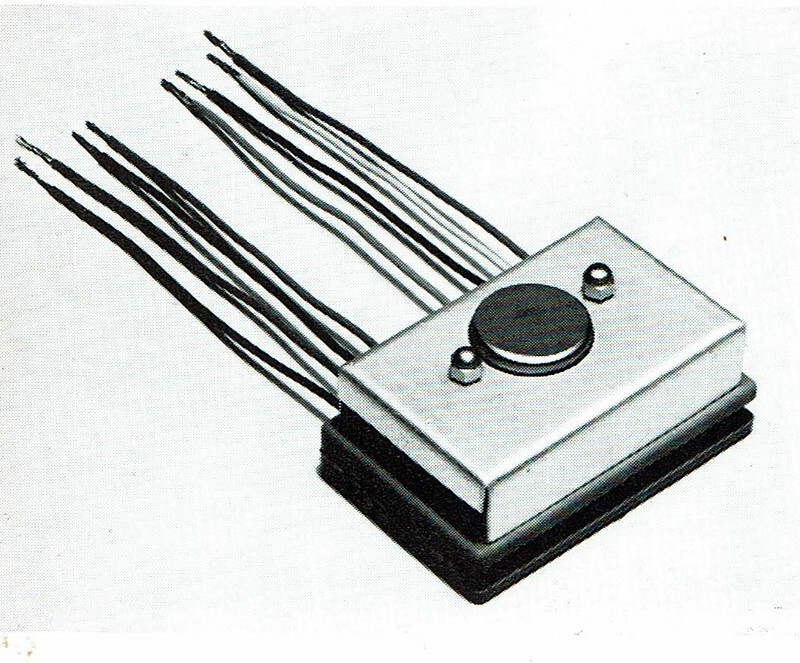 The theoretical understanding and application dates from the 1920s, and they are implemented in nearly all analog control systems; originally in mechanical controllers, and then using discrete electronics and latterly in industrial process computers. Sequential control may be either to a fixed sequence or to a logical one that will perform different actions depending on various system states. An example of an adjustable but otherwise fixed sequence is a timer on a lawn sprinkler. 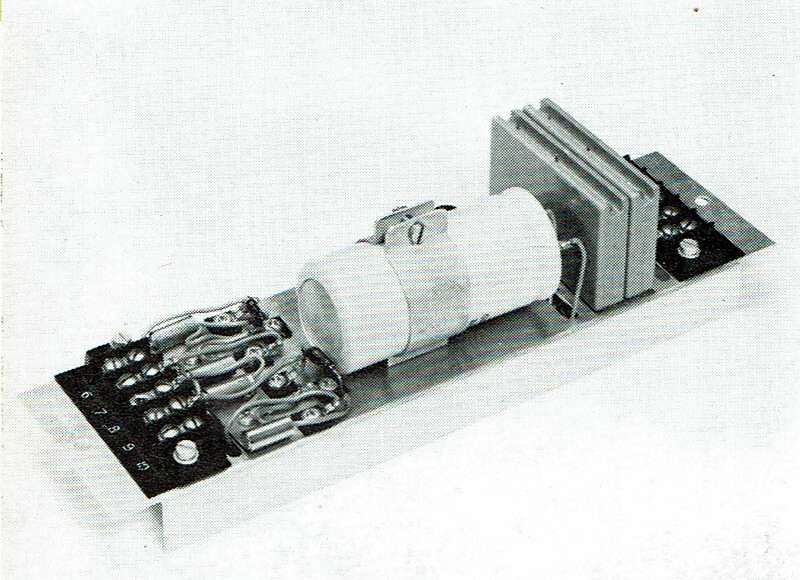 Early development of sequential control was relay logic, by which electrical relays engage electrical contacts which either start or interrupt power to a device. 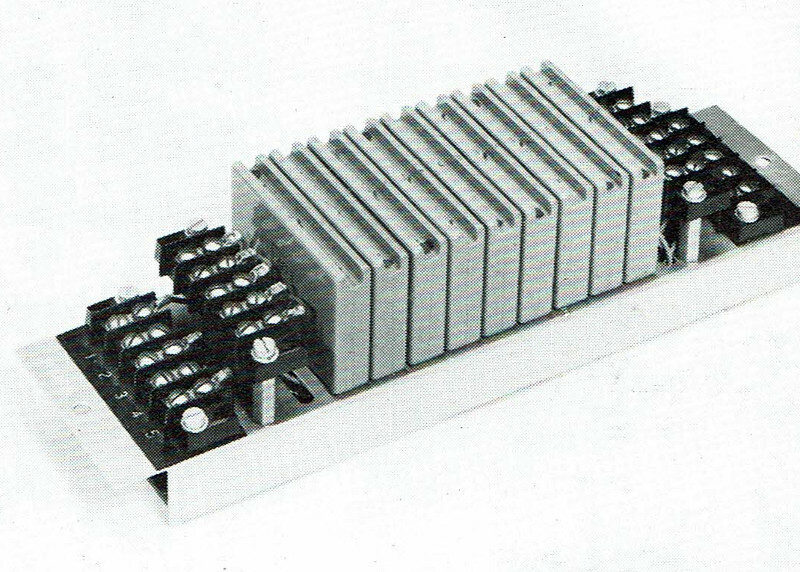 Relays were first used in telegraph networks before being developed for controlling other devices, such as when starting and stopping industrial-sized electric motors or opening and closing solenoid valves. Using relays for control purposes allowed event-driven control, where actions could be triggered out of sequence, in response to external events. These were more flexible in their response than the rigid single-sequence cam timers. More complicated examples involved maintaining safe sequences for devices such as swing bridge controls, where a lock bolt needed to be disengaged before the bridge could be moved, and the lock bolt could not be released until the safety gates had already been closed. The total number of relays, cam timers, and drum sequencers can number into the hundreds or even thousands in some factories. 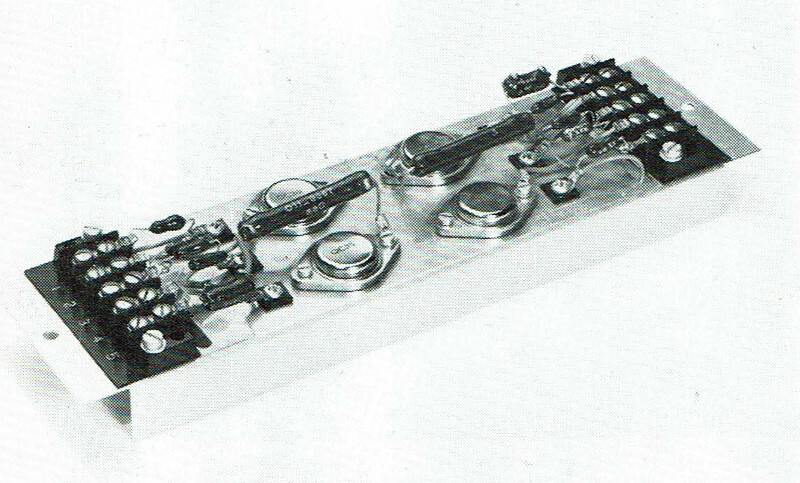 Early programming techniques and languages were needed to make such systems manageable, one of the first being ladder logic, where diagrams of the interconnected relays resembled the rungs of a ladder. 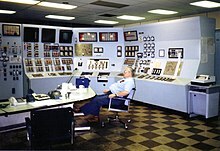 Special computers called programmable logic controllers were later designed to replace these collections of hardware with a single, more easily re-programmed unit. In a typical hard wired motor start and stop circuit (called a control circuit) a motor is started by pushing a "Start" or "Run" button that activates a pair of electrical relays. The "lock-in" relay locks in contacts that keep the control circuit energized when the pushbutton is released. (The start button is a normally open contact and the stop button is normally closed contact.) Another relay energizes a switch that powers the device that throws the motor starter switch (three sets of contacts for three-phase industrial power) in the main power circuit. Large motors use high voltage and experience high in-rush current, making speed important in making and breaking contact. This can be dangerous for personnel and property with manual switches. The "lock-in" contacts in the start circuit and the main power contacts for the motor are held engaged by their respective electromagnets until a "stop" or "off" button is pressed, which de-energizes the lock in relay. Commonly interlocks are added to a control circuit. Suppose that the motor in the example is powering machinery that has a critical need for lubrication. In this case, an interlock could be added to ensure that the oil pump is running before the motor starts. Timers, limit switches, and electric eyes are other common elements in control circuits. Computers can perform both sequential control and feedback control, and typically a single computer will do both in an industrial application. Programmable logic controllers (PLCs) are a type of special purpose microprocessor that replaced many hardware components such as timers and drum sequencers used in relay logic type systems. General purpose process control computers have increasingly replaced stand-alone controllers, with a single computer able to perform the operations of hundreds of controllers. Process control computers can process data from a network of PLCs, instruments, and controllers in order to implement typical (such as PID) control of many individual variables or, in some cases, to implement complex control algorithms using multiple inputs and mathematical manipulations. They can also analyze data and create real-time graphical displays for operators and run reports for operators, engineers, and management. The Persian Banū Mūsā brothers, in their Book of Ingenious Devices (850 AD), described a number of automatic controls. Two-step level controls for fluids, a form of discontinuous variable structure controls, was developed by the Banu Musa brothers. They also described a feedback controller. In 1771 Richard Arkwright invented the first fully automated spinning mill driven by water power, known at the time as the water frame. An automatic flour mill was developed by Oliver Evans in 1785, making it the first completely automated industrial process. Several improvements to the governor, plus improvements to valve cut-off timing on the steam engine, made the engine suitable for most industrial uses before the end of the 19th century. Advances in the steam engine stayed well ahead of science, both thermodynamics and control theory. 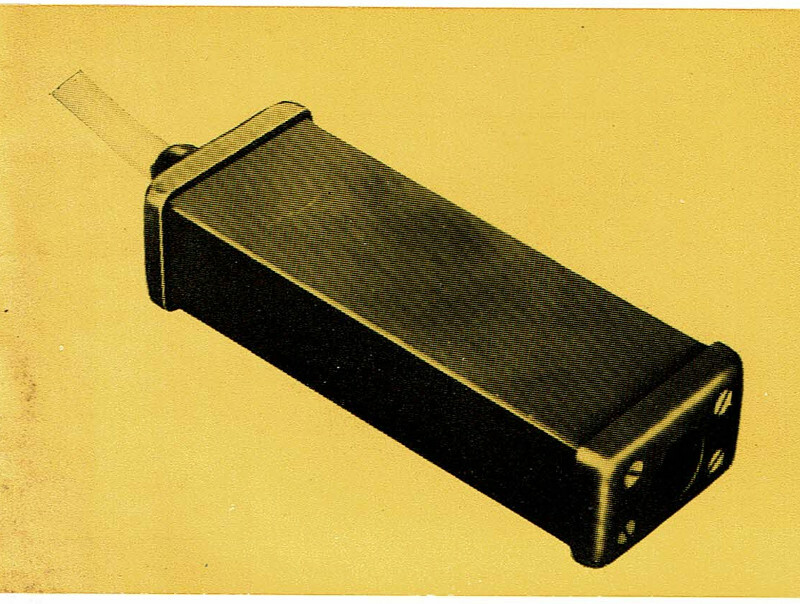 Relay logic was introduced with factory electrification, which underwent rapid adaption from 1900 through the 1920s. Central electric power stations were also undergoing rapid growth and operation of new high-pressure boilers, steam turbines and electrical substations created a large demand for instruments and controls. Central control rooms became common in the 1920s, but as late as the early 1930s, most process control was on-off. Operators typically monitored charts drawn by recorders that plotted data from instruments. To make corrections, operators manually opened or closed valves or turned switches on or off. Control rooms also used color-coded lights to send signals to workers in the plant to manually make certain changes. 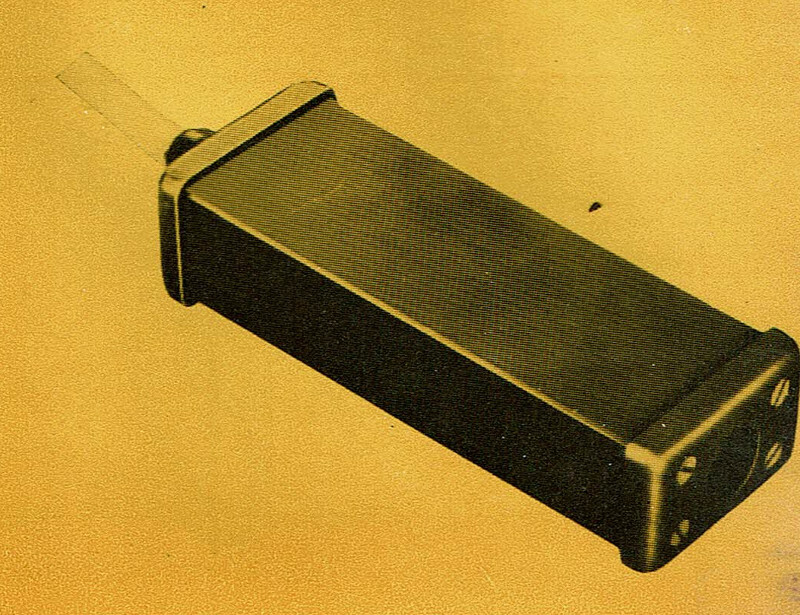 Controllers, which were able to make calculated changes in response to deviations from a set point rather than on-off control, began being introduced the 1930s. Controllers allowed manufacturing to continue showing productivity gains to offset the declining influence of factory electrification. Factory productivity was greatly increased by electrification in the 1920s. U. S. manufacturing productivity growth fell from 5.2%/yr 1919-29 to 2.76%/yr 1929-41. Alexander Field notes that spending on non-medical instruments increased significantly from 1929–33 and remained strong thereafter. The First and Second World Wars saw major advancements in the field of mass communication and signal processing. Other key advances in automatic controls include differential equations, stability theory and system theory (1938), frequency domain analysis (1940), ship control (1950), and stochastic analysis (1941). Starting in 1958, various systems based on solid-state digital logic modules for hard-wired programmed logic controllers (the predecessors of programmable logic controllers (PLC)) emerged to replace electro-mechanical relay logic in industrial control systems for process control and automation, including early Telefunken/AEG Logistat, Siemens Simatic [de], Philips/Mullard/Valvo [de] Norbit, BBC Sigmatronic, ACEC Logacec, Akkord [de] Estacord, Krone Mibakron, Bistat, Datapac, Norlog, SSR, or Procontic systems. In 1959 Texaco's Port Arthur refinery became the first chemical plant to use digital control. Conversion of factories to digital control began to spread rapidly in the 1970s as the price of computer hardware fell. Before automation many chemicals were made in batches. In 1930, with the widespread use of instruments and the emerging use of controllers, the founder of Dow Chemical Co. was advocating continuous production. 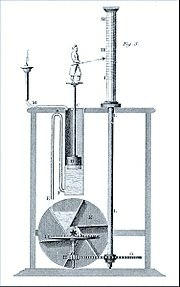 Self-acting machine tools that displaced hand dexterity so they could be operated by boys and unskilled laborers were developed by James Nasmyth in the 1840s. 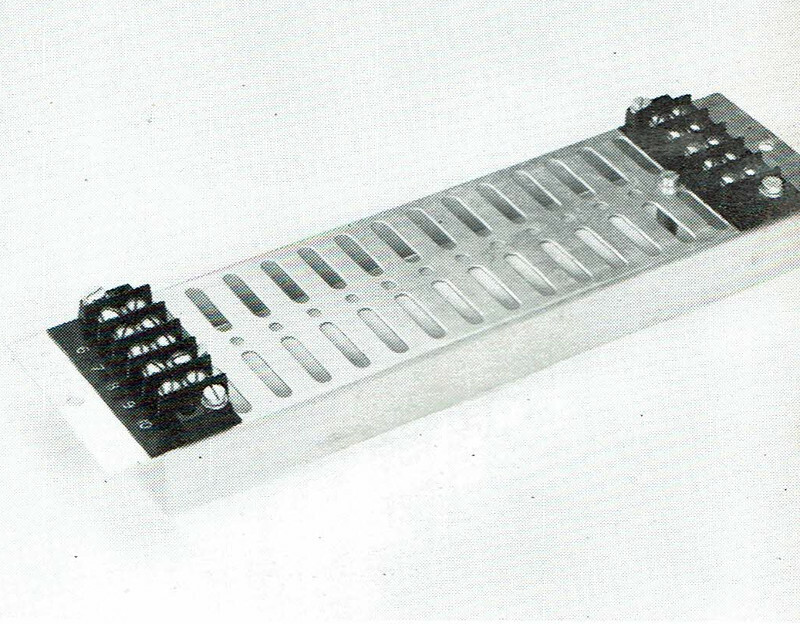 Machine tools were automated with Numerical control (NC) using punched paper tape in the 1950s. This soon evolved into computerized numerical control (CNC). Installation in operations reduces cycle time. Can complete tasks where a high degree of accuracy is required. Performs tasks that are beyond human capabilities of size, weight, speed, endurance, etc. Possible security threats/vulnerability due to increased relative susceptibility for committing errors. Unpredictable or excessive development costs. Displaces workers due to job replacement. Increased automation can often cause workers to feel anxious about losing their jobs as technology renders their skills or experience unnecessary. Early in the Industrial Revolution, when inventions like the steam engine were making some job categories expendable, workers forcefully resisted these changes. Luddites, for instance, were English textile workers who protested the introduction of weaving machines by destroying them. Similar movements have sprung up periodically ever since. For most of the nineteenth and twentieth centuries, the most influential of these movements were led by organized labor, which advocated for the retraining of workers whose jobs were rendered redundant by machines. More recently, some residents of Chandler, Arizona have slashed tires and pelted rocks at driver-less cars, in protest over the cars' perceived threat to human safety and job prospects. Lights out manufacturing is a production system with no human workers, to eliminate labor costs. Lights out manufacturing grew in popularity in the U.S. when General Motors in 1982 implemented humans "hands-off" manufacturing in order to "replace risk-averse bureaucracy with automation and robots". However, the factory never reached full "lights out" status. Digital electronics helped too. Former analog-based instrumentation was replaced by digital equivalents which can be more accurate and flexible, and offer greater scope for more sophisticated configuration, parametrization, and operation. This was accompanied by the fieldbus revolution which provided a networked (i.e. a single cable) means of communicating between control systems and field level instrumentation, eliminating hard-wiring. Discrete manufacturing plants adopted these technologies fast. The more conservative process industries with their longer plant life cycles have been slower to adopt and analog-based measurement and control still dominates. The growing use of Industrial Ethernet on the factory floor is pushing these trends still further, enabling manufacturing plants to be integrated more tightly within the enterprise, via the internet if necessary. Global competition has also increased demand for Reconfigurable Manufacturing Systems. An automated online assistant on a website, with an avatar for enhanced human–computer interaction. When it comes to factory automation, Host Simulation Software (HSS) is a commonly used testing tool that is used to test the equipment software. HSS is used to test equipment performance with respect to Factory Automation standards (timeouts, response time, processing time). Current technology is unable to automate all the desired tasks. Many operations using automation have large amounts of invested capital and produce high volumes of product, making malfunctions extremely costly and potentially hazardous. Therefore, some personnel are needed to ensure that the entire system functions properly and that safety and product quality are maintained. As a process becomes increasingly automated, there is less and less labor to be saved or quality improvement to be gained. This is an example of both diminishing returns and the logistic function. As more and more processes become automated, there are fewer remaining non-automated processes. This is an example of the exhaustion of opportunities. New technological paradigms may, however, set new limits that surpass the previous limits. Many roles for humans in industrial processes presently lie beyond the scope of automation. Human-level pattern recognition, language comprehension, and language production ability are well beyond the capabilities of modern mechanical and computer systems (but see Watson (computer)). Tasks requiring subjective assessment or synthesis of complex sensory data, such as scents and sounds, as well as high-level tasks such as strategic planning, currently require human expertise. In many cases, the use of humans is more cost-effective than mechanical approaches even where the automation of industrial tasks is possible. Overcoming these obstacles is a theorized path to post-scarcity economics. If an automated system has an error, it will multiply that error until it’s fixed or shut down. This is where human operators come in. A fatal example of this was Air France Flight 447, where a failure of automation put the pilots into a manual situation they were not prepared for. Cognitive automation, as a subset of artificial intelligence, is an emerging genus of automation enabled by cognitive computing. Its primary concern is the automation of clerical tasks and workflows that consist of structuring unstructured data. Technologies like solar panels, wind turbines, and other renewable energy sources, together with smart grids, micro-grids, battery storage - can automate power production. Online shopping could be considered a form of automated retail as the payment and checkout are through an automated Online transaction processing system, with the share of online retail accounting jumping from 5.1% in 2011 to 8.3% in 2016. However, two-thirds of books, music, and films are now purchased online. In addition, automation and online shopping could reduce demands for shopping malls, and retail property, which in America is currently estimated to account for 31% of all commercial property or around 7 billion square feet. Amazon has gained much of the growth in recent years for online shopping, accounting for half of the growth in online retail in 2016. Other forms of automation can also be an integral part of online shopping, for example, the deployment of automated warehouse robotics such as that applied by Amazon using Kiva Systems. Automated mining involves the removal of human labor from the mining process. The mining industry is currently in the transition towards automation. Currently, it can still require a large amount of human capital, particularly in the third world where labor costs are low so there is less incentive for increasing efficiency through automation. The Defense Advanced Research Projects Agency (DARPA) started the research and development of automated visual surveillance and monitoring (VSAM) program, between 1997 and 1999, and airborne video surveillance (AVS) programs, from 1998 to 2002. Currently, there is a major effort underway in the vision community to develop a fully automated tracking surveillance system. Automated video surveillance monitors people and vehicles in real time within a busy environment. Existing automated surveillance systems are based on the environment they are primarily designed to observe, i.e., indoor, outdoor or airborne, the number of sensors that the automated system can handle and the mobility of sensor, i.e., stationary camera vs. mobile camera. The purpose of a surveillance system is to record properties and trajectories of objects in a given area, generate warnings or notify designated authority in case of occurrence of particular events. Automated waste collection trucks prevent the need for as many workers as well as easing the level of labor required to provide the service. Industrial automation deals primarily with the automation of manufacturing, quality control and material handling processes. General purpose controllers for industrial processes include Programmable logic controllers, stand-alone I/O modules, and computers. Industrial automation is to replace the decision making of humans and manual command-response activities with the use of mechanized equipment and logical programming commands. One trend is increased use of Machine vision to provide automatic inspection and robot guidance functions, another is a continuing increase in the use of robots. Industrial automation is simply required in industries. The integration of control and information across the enterprise enables industries to optimize industrial process operations. Energy efficiency in industrial processes has become a higher priority. Semiconductor companies like Infineon Technologies are offering 8-bit micro-controller applications for example found in motor controls, general purpose pumps, fans, and ebikes to reduce energy consumption and thus increase efficiency. The rise of industrial automation is directly tied to the “Fourth Industrial Revolution”, which is better known now as Industry 4.0. Originating from Germany, Industry 4.0 encompasses numerous devices, concepts, and machines. It, along with the advancement of the Industrial Internet of Things (formally known as the IoT or IIoT) which is “Internet of Things is a seamless integration of diverse physical objects in the Internet through a virtual representation”. These new revolutionary advancements have drawn attention to the world of automation in an entirely new light and shown ways for it to grow to increase productivity and efficiency in machinery and manufacturing facilities. Industry 4.0 works with the IIoT and software/hardware to connect in a way that (through communication technologies) add enhancements and improve manufacturing processes. Being able to create smarter, safer, and more advanced manufacturing is now possible with these new technologies. It opens up a manufacturing platform that is more reliable, consistent, and efficient than before. Implementation of systems such as SCADA is an example of software that takes place in Industrial Automation today. SCADA is a supervisory data collection software, just one of the many used in Industrial Automation. Industry 4.0 vastly covers many areas in manufacturing and will continue to do so as time goes on. Industrial robotics is a sub-branch in the industrial automation that aids in various manufacturing processes. Such manufacturing processes include; machining, welding, painting, assembling and material handling to name a few. Industrial robots utilizes various mechanical, electrical as well as software systems to allow for high precision, accuracy and speed that far exceeds any human performance. The birth of industrial robot came shortly after World War II as the United States saw the need for a quicker way to produce industrial and consumer goods. Servos, digital logic and solid-state electronics allowed engineers to build better and faster systems and overtime these systems were improved and revised to the point where a single robot is capable of running 24 hours a day with little or no maintenance. In 1997, there were 700,000 industrial robots in use, the number has risen to 1.8M in 2017 In recent years, artificial intelligence (AI) with robotics are also used in creating an automatic labelling solution, using robotic arms as the automatic label applicator, and AI for learning and detecting the products to be labelled. Industrial automation incorporates programmable logic controllers in the manufacturing process. Programmable logic controllers (PLCs) use a processing system which allows for variation of controls of inputs and outputs using simple programming. PLCs make use of programmable memory, storing instructions and functions like logic, sequencing, timing, counting, etc. Using a logic-based language, a PLC can receive a variety of inputs and return a variety of logical outputs, the input devices being sensors and output devices being motors, valves, etc. PLCs are similar to computers, however, while computers are optimized for calculations, PLCs are optimized for control task and use in industrial environments. They are built so that only basic logic-based programming knowledge is needed and to handle vibrations, high temperatures, humidity, and noise. The greatest advantage PLCs offer is their flexibility. With the same basic controllers, a PLC can operate a range of different control systems. PLCs make it unnecessary to rewire a system to change the control system. This flexibility leads to a cost-effective system for complex and varied control systems. Siemens Simatic S7-400 system in a rack, left-to-right: power supply unit (PSU), CPU, interface module (IM) and communication processor (CP). PLCs can range from small "building brick" devices with tens of I/O in a housing integral with the processor, to large rack-mounted modular devices with a count of thousands of I/O, and which are often networked to other PLC and SCADA systems. They can be designed for multiple arrangements of digital and analog inputs and outputs (I/O), extended temperature ranges, immunity to electrical noise, and resistance to vibration and impact. Programs to control machine operation are typically stored in battery-backed-up or non-volatile memory. When digital computers became available, being general-purpose programmable devices, they were soon applied to control sequential and combinatorial logic in industrial processes. However, these early computers required specialist programmers and stringent operating environmental control for temperature, cleanliness, and power quality. To meet these challenges this the PLC was developed with several key attributes. It would tolerate the shop-floor environment, it would support discrete (bit-form) input and output in an easily extensible manner, it would not require years of training to use, and it would permit its operation to be monitored. Since many industrial processes have timescales easily addressed by millisecond response times, modern (fast, small, reliable) electronics greatly facilitate building reliable controllers, and performance could be traded off for reliability. The key benefit of agent-assisted automation is compliance and error-proofing. Agents are sometimes not fully trained or they forget or ignore key steps in the process. The use of automation ensures that what is supposed to happen on the call actually does, every time. Research by Carl Benedikt Frey and Michael Osborne of the Oxford Martin School argued that employees engaged in "tasks following well-defined procedures that can easily be performed by sophisticated algorithms" are at risk of displacement, and 47 percent of jobs in the US were at risk. The study, released as a working paper in 2013 and published in 2017, predicted that automation would put low-paid physical occupations most at risk, by surveying a group of colleagues on their opinions. However, according to a study published in McKinsey Quarterly in 2015 the impact of computerization in most cases is not the replacement of employees but automation of portions of the tasks they perform. The methodology of the McKinsey study has been heavily criticized for being intransparent and relying on subjective assessments. The methodology of Frey and Osborne has been subjected to criticism, as lacking evidence, historical awareness, or credible methodology. In addition the OECD, found that across the 21 OECD countries, 9% of jobs are automatable. The Obama White House has pointed out that every 3 months "about 6 percent of jobs in the economy are destroyed by shrinking or closing businesses, while a slightly larger percentage of jobs are added". A recent MIT economics study of automation in the United States from 1990 to 2007 found that there may be a negative impact on employment and wages when robots are introduced to an industry. When one robot is added per one thousand workers, the employment to population ratio decreases between 0.18–0.34 percentages and wages are reduced by 0.25–0.5 percentage points. During the time period studied, the US did not have many robots in the economy which restricts the impact of automation. However, automation is expected to triple (conservative estimate) or quadruple (a generous estimate) leading these numbers to become substantially higher. Based on a formula by Gilles Saint-Paul, an economist at Toulouse 1 University, the demand for unskilled human capital declines at a slower rate than the demand for skilled human capital increases. In the long run and for society as a whole it has led to cheaper products, lower average work hours, and new industries forming (i.e., robotics industries, computer industries, design industries). These new industries provide many high salary skill-based jobs to the economy. By 2030, between 3 and 14 percent of the global workforce will be forced to switch job categories due to automation eliminating jobs in an entire sector. While the number of jobs lost to automation is often offset by jobs gained from technological advances, the same type of job loss is not the same one replaced and that leading to increasing unemployment in the lower-middle class. This occurs largely in the US and developed countries where technological advances contribute to higher demand for highly skilled labor but demand for middle-wage labor continues to fall. Economists call this trend “income polarization” where unskilled labor wages are driven down and skilled labor is driven up and it is predicted to continue in developed economies. Unemployment is becoming a problem in the United States due to the exponential growth rate of automation and technology. According to Kim, Kim, and Lee (2017), “A seminal study by Frey and Osborne in 2013 predicted that 47% of the 702 examined occupations in the United States faced a high risk of decreased employment rate within the next 10–25 years as a result of computerization”. (p. 1). As many jobs are becoming obsolete, which is causing job displacement, one possible solution would be for the government to assist with a universal basic income (UBI) program. UBI would be a guaranteed, non-taxed income of around $1000 dollars per month, paid to all U.S. citizens over the age of 21. UBI would help those who are displaced, take on jobs that pay less money and still afford to get by. It would also give those that are employed with jobs that are likely to be replaced by automation and technology, extra money to spend on education and training on new demanding employment skills. ^ Groover, Mikell (2014). Fundamentals of Modern Manufacturing: Materials, Processes, and Systems. ^ a b Rifkin, Jeremy (1995). The End of Work: The Decline of the Global Labor Force and the Dawn of the Post-Market Era. Putnam Publishing Group. pp. 66, 75. ISBN 978-0-87477-779-6. ^ Bennett, S. (1993). A History of Control Engineering 1930-1955. London: Peter Peregrinus Ltd. On behalf of the Institution of Electrical Engineers. ISBN 978-0-86341-280-6. ^ a b Mayr, Otto (1970). The Origins of Feedback Control. Clinton, MA USA: The Colonial Press, Inc.
^ Bennett, Stuart (1992). A history of control engineering, 1930-1955. IET. p. 48. ISBN 978-0-86341-299-8. ^ "MOTOR STARTERS START STOPS HAND OFF AUTO". Exman.com. Archived from the original on 13 April 2014. Retrieved 14 September 2013. ^ Guarnieri, M. (2010). "The Roots of Automation Before Mechatronics". IEEE Ind. Electron. M. 4 (2): 42–43. doi:10.1109/MIE.2010.936772. ^ Otto Mayr (1970). The Origins of Feedback Control, MIT Press. ^ Donald Routledge Hill, "Mechanical Engineering in the Medieval Near East", Scientific American, May 1991, p. 64-69. ^ Liu, Tessie P. (1994). The Weaver's Knot: The Contradictions of Class Struggle and Family Solidarity in Western France, 1750–1914. Cornell University Press. pp. 91–. ISBN 978-0-8014-8019-5. ^ "Charting the Globe and Tracking the Heavens". Princeton.edu. ^ Bellman, Richard E. (8 December 2015). Adaptive Control Processes: A Guided Tour. Princeton University Press. ISBN 9781400874668. ^ Bennett, S. (1979). A History of Control Engineering 1800–1930. London: Peter Peregrinus Ltd. pp. 47, 266. ISBN 978-0-86341-047-5. ^ Partington, Charles Frederick (1 January 1826). "A course of lectures on the Steam Engine, delivered before the Members of the London Mechanics' Institution ... To which is subjoined, a copy of the rare ... work on Steam Navigation, originally published by J. Hulls in 1737. Illustrated by ... engravings". ^ Britain), Society for the Encouragement of Arts, Manufactures, and Commerce (Great (1 January 1814). "Transactions of the Society Instituted at London for the Encouragement of Arts, Manufactures, and Commerce". ^ a b Field, Alexander J. (2011). A Great Leap Forward: 1930s Depression and U.S. Economic Growth. New Haven, London: Yale University Press. ISBN 978-0-300-15109-1. ^ Estacord - Das universelle Bausteinsystem für kontaktlose Steuerungen (Catalog) (in German). Herxheim/Pfalz, Germany: Akkord-Radio GmbH [de]. 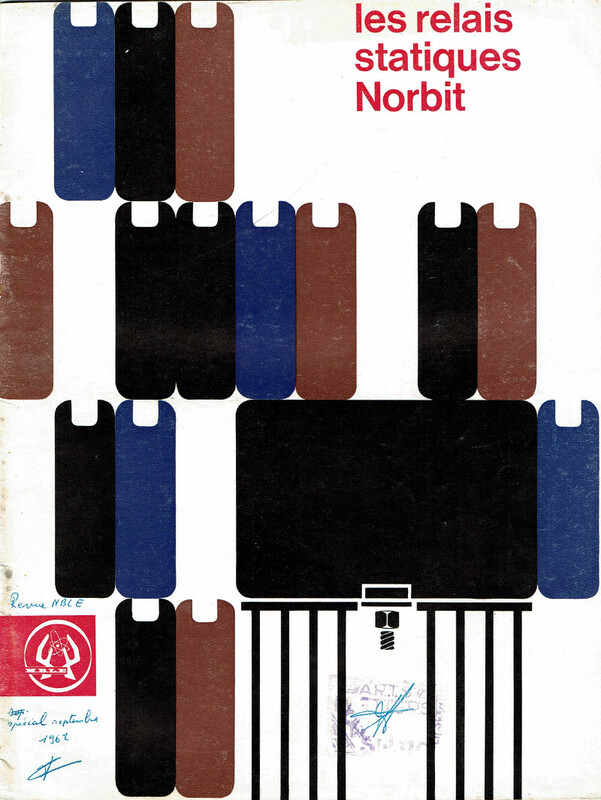 ^ Klingelnberg, W. Ferdinand (2013) [1967, 1960, 1939]. Pohl, Fritz; Reindl, Rudolf (eds.). Technisches Hilfsbuch (in German) (softcover reprint of 15th hardcover ed.). Springer-Verlag. p. 135. doi:10.1007/978-3-642-88367-5. ISBN 978-3-64288368-2. LCCN 67-23459. 0512. ^ Parr, E. Andrew (1993) . Logic Designer's Handbook: Circuits and Systems (revised 2nd ed.). B.H. Newnes / Butterworth-Heinemann Ltd. / Reed International Books. pp. 45–46. ISBN 978-0-7506-0535-9. Retrieved 25 June 2018. ^ Weißel, Ralph; Schubert, Franz (7 March 2013) [1995, 1990]. "4.1. Grundschaltungen mit Bipolar- und Feldeffekttransistoren". Digitale Schaltungstechnik. Springer-Lehrbuch (in German) (reprint of 2nd ed.). Springer-Verlag. p. 116. doi:10.1007/978-3-642-78387-6. ISBN 978-3-540-57012-7. ^ Walker, Mark John (8 September 2012). The Programmable Logic Controller: its prehistory, emergence and application (PDF) (PhD thesis). Department of Communication and Systems Faculty of Mathematics, Computing and Technology: The Open University. pp. 223, 269, 308. Archived (PDF) from the original on 20 June 2018. Retrieved 20 June 2018. ^ Jerome, Harry (1934). Mechanization in Industry, National Bureau of Economic Research (PDF). p. 158. ^ Constable, George; Somerville, Bob (1964). A Century of Innovation: Twenty Engineering Achievements That Transformed Our Lives. Joseph Henry Press. ISBN 978-0309089081. ^ "The American Society of Mechanical Engineers Designates the Owens "AR" Bottle Machine as an International Historic Engineering Landmark". 1983. Archived from the original on 18 October 2017. Retrieved 7 March 2017. ^ Landes, David. S. (1969). The Unbound Prometheus: Technological Change and Industrial Development in Western Europe from 1750 to the Present. Cambridge, New York: Press Syndicate of the University of Cambridge. p. 475. ISBN 978-0-521-09418-4. ^ Lamb, Frank (2013). Industrial Automation: Hands on. pp. 1–4. ^ Arnzt, Melanie (14 May 2016). "The Risk of Automation for Jobs in OECD Countries: A COMPARATIVE ANALYSIS". ^ "Luddite". Encyclopedia Britannica. Retrieved 28 December 2017. ^ Romero, Simon (31 December 2018). "Wielding Rocks and Knives, Arozonans Attack Self-Driving Cars". The New York Times. ^ Goodman, Peter S. (27 December 2017). "The Robots are Coming, and Sweden is Fine". The New York Times. Retrieved 28 December 2017. ^ Frey, C. B.; Osborne, M.A. (17 September 2013). "THE FUTURE OF EMPLOYMENT: HOW SUSCEPTIBLE ARE JOBS TO COMPUTERISATION?" (PDF). Retrieved 1 March 2017. ^ "Death of the American Trucker". Rollingstone.com. 2 January 2018. ^ "Silicon Valley luminaries are busily preparing for when robots take over". Mashable.com. ^ "Lights out manufacturing and its impact on society". RCR Wireless News. 10 August 2016. Retrieved 28 February 2018. ^ "Checklist for Lights-Out Manufacturing". CNC machine tools. 4 September 2017. Retrieved 28 February 2018. ^ "Self-Driving Cars Could Help Save the Environment—Or Ruin It. It Depends on Us". Time.com. ^ Louis, Jean-Nicolas; Calo, Antonio; Leiviskä, Kauko; Pongrácz, Eva (2015). "Environmental Impacts and Benefits of Smart Home Automation: Life Cycle Assessment of Home Energy Management System". IFAC-Papers On Line. 48: 880. doi:10.1016/j.ifacol.2015.05.158. ^ Werner Dankwort, C; Weidlich, Roland; Guenther, Birgit; Blaurock, Joerg E (2004). "Engineers' CAx education—it's not only CAD". Computer-Aided Design. 36 (14): 1439. doi:10.1016/j.cad.2004.02.011. ^ "Automation - Definitions from Dictionary.com". dictionary.reference.com. Archived from the original on 29 April 2008. Retrieved 22 April 2008. ^ "Effective host stimulation" (PDF). www.hcltech.com. ^ Bainbridge, Lisanne (November 1983). "Ironies of automation". Automatica. 19 (6): 775–779. doi:10.1016/0005-1098(83)90046-8. ^ Kaufman, Josh. "Paradox of Automation – The Personal MBA". Personalmba.com. ^ "Children of the Magenta (Automation Paradox, pt. 1) – 99% Invisible". 99percentinvisible.org. ^ Guhathakurta, Rahul (2018). "Cognitive Automation — Going beyond Rule-based RPA". IndraStra Global. 004: 0006. ISSN 2381-3652. ^ "Automate Complex Workflows Using Tactical Cognitive Computing: Coseer". thesiliconreview.com. Retrieved 30 July 2017. ^ "Cognitive automation: Streamlining knowledge processes | Deloitte US". Deloitte United States. Retrieved 30 July 2017. ^ "McDonaldâ€™s automation a sign of declining service sector employment - IT Business". 19 September 2013. Archived from the original on 19 September 2013. Retrieved 20 January 2019. ^ Automation Comes To The Coffeehouse With Robotic Baristas. Singularity Hub. Retrieved on 2013-07-12. ^ New Pizza Express app lets diners pay bill using iPhone. Bighospitality.co.uk. Retrieved on 2013-07-12. ^ Wheelie: Toshiba's new robot is cute, autonomous and maybe even useful (video). TechCrunch (12 March 2010). Retrieved on 2013-07-12. ^ a b "The decline of established American retailing threatens jobs". The Economist. Retrieved 28 May 2017. ^ Javed, O, & Shah, M. (2008). Automated multi-camera surveillance. City of Publication: Springer-Verlag New York Inc.
^ Menzies, Thomas. R. National Automated Highway System Research Program A review. 253. Washington D.C.: Transportation Research Board, 1998. 2–50. ^ Hepker, Aaron. (27 November 2012) Automated Garbage Trucks Hitting Cedar Rapids Streets | KCRG-TV9 | Cedar Rapids, Iowa News, Sports, and Weather | Local News Archived 16 January 2013 at the Wayback Machine. Kcrg.com. Retrieved on 2013-07-12. ^ "Business Process Automation - Gartner IT Glossary". Gartner.com. Retrieved 20 January 2019. ^ "Smart & Intelligent Home Automation Solutions". 15 May 2018. ^ Carvalho, Matheus (2017). Practical Laboratory Automation: Made Easy with AutoIt. Wiley VCH. ISBN 978-3-527-34158-0. ^ Boyd, James (18 January 2002). "Robotic Laboratory Automation". Science. 295 (5554): 517–518. doi:10.1126/science.295.5554.517. ISSN 0036-8075. PMID 11799250. ^ Carvalho, Matheus C. (1 August 2013). "Integration of Analytical Instruments with Computer Scripting". 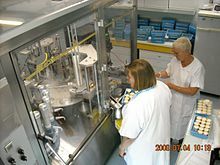 Journal of Laboratory Automation. 18 (4): 328–333. doi:10.1177/2211068213476288. ISSN 2211-0682. PMID 23413273. Archived from the original on 27 October 2016. ^ Pearce, Joshua M. (1 January 2014). "Introduction to Open-Source Hardware for Science". Chapter 1 - Introduction to Open-Source Hardware for Science. Boston: Elsevier. pp. 1–11. doi:10.1016/b978-0-12-410462-4.00001-9. ISBN 9780124104624. ^ a b Kamarul Bahrin, Mohd Aiman; Othman, Mohd Fauzi; Nor Azli, Nor Hayati; Talib, Muhamad Farihin (2016). "Industry 4.0: A Review on Industrial Automation and Robotic". Jurnal Teknologi. 78 (6–13). doi:10.11113/jt.v78.9285. ^ Jung, Markus; Reinisch, Christian; Kastner, Wolfgang (2012). "Integrating Building Automation Systems and IPv6 in the Internet of Things". 2012 Sixth International Conference on Innovative Mobile and Internet Services in Ubiquitous Computing. pp. 683–688. doi:10.1109/IMIS.2012.134. ISBN 978-1-4673-1328-5. ^ Pérez-López, Esteban (2015). "Los sistemas SCADA en la automatización industrial". Revista Tecnología en Marcha. 28 (4): 3. doi:10.18845/tm.v28i4.2438. ^ Shell, Richard (2000). Handbook of Industrial Automation. p. 46. ^ Kurfess, Thomas (2005). Robotics and Automation Handbook. p. 5. ^ PricewaterhouseCoopers. "Managing man and machine". PwC. Retrieved 4 December 2017. ^ "AI Automatic Label Applicator & Labelling System". Milliontech. 18 January 2018. Retrieved 16 November 2018. ^ Bolten, William (2009). Programmable Logic Controllers (5th Edition). p. 3. ^ Adsit, Dennis (21 February 2011). "Error-proofing strategies for managing call center fraud". isixsigma.com. ^ Arntz er al (Summer 2017). "Future of work". Economic Lettets. ^ Autor, David H. (2015). "Why Are There Still So Many Jobs? The History and Future of Workplace Automation". Journal of Economic Perspectives. 29 (3): 3–30. doi:10.1257/jep.29.3.3. hdl:1721.1/109476. ^ McGaughey, Ewan (10 January 2018). "Will Robots Automate Your Job Away? Full Employment, Basic Income, and Economic Democracy". SSRN 3044448. ^ "The Risk of Automation for Jobs in OECD Countries". OECD Social, Employment and Migration Working Papers. 2016. doi:10.1787/5jlz9h56dvq7-en. ^ Executive Office of the President, Artificial Intelligence, Automation and the Economy (December 2016) 2 and 13–19. ^ Acemoglu, Daron; Restrepo, Pascual. "Robots and Jobs: Evidence from US Labor Markets". Archived from the original on 3 April 2018. Retrieved 20 February 2018. ^ Saint-Paul, Gilles (21 July 2008). Innovation and Inequality: How Does Technical Progress Affect Workers?. ISBN 9780691128306. ^ McKinsey Global Institute (December 2017). Jobs Lost, Jobs Gained: Workforce Transitions in a Time of Automation. Mckinsey & Company. pp. 1–20. Retrieved 20 February 2018. Autor, David H. (2015). "Why Are There Still So Many Jobs? The History and Future of Workplace Automation". Journal of Economic Perspectives. 29 (3): 3. doi:10.1257/jep.29.3.3. hdl:1721.1/109476. Retrieved 16 January 2018. Bennett, S. (1993). A History of Control Engineering 1930-1955. London: Peter Peregrinus Ltd. On behalf of the Institution of Electrical Engineers. ISBN 978-0-86341-280-6. Trevathan, Vernon L., ed. (2006), A Guide to the Automation Body of Knowledge (2nd ed. ), Research Triangle Park, NC, USA: International Society of Automation, ISBN 978-1-55617-984-6, archived from the original on 4 July 2008. Frohm, Jorgen (2008), Levels of Automation in Production Systems, Chalmers University of Technology, ISBN 978-91-7385-055-1.